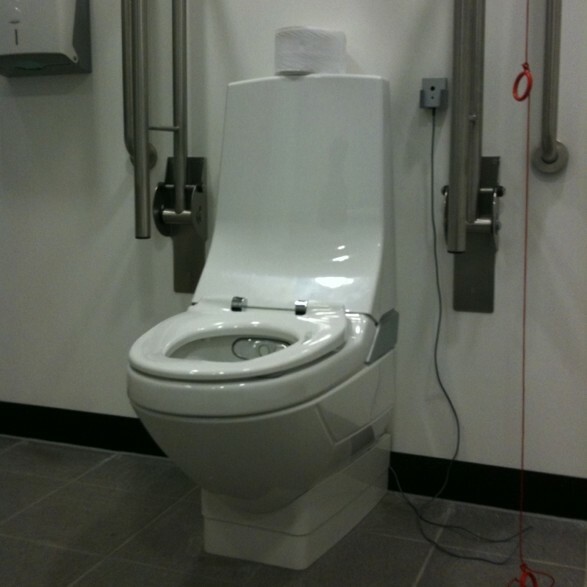 Utopia Fair – what is World of Accessible Toilets doing? Earlier this year I was delighted to be invited to contribute to the Travelling Toilet Tales film – where a number of us shared our story about planning journeys around toilet requirements. At home I have the right facilities, space, design etc … but outside the home and on holiday it’s a different story. I chose to contribute via narrating a poem about how difficult it is to go on a day out and find a toilet that is suitable – even with the basics! Pop to the festival to find out more, listen to our contributions and chat with those attending. I can’t go in person but I will be around on Twitter and our Facebook page to chat about the weird and wonderful (and hugely varied) toilet designs and how this can impact disabled people. The Utopia Fair will be hosting 35 representatives from contemporary utopian movements from all over the UK on stalls in the Somerset House courtyard. The Travelling Toilet Tales stall will offer the public an exciting first glimpse of a draft of our animated Toilet Tales film. Featuring stories from a range of toilet users, including truckers, disabled parents, and non-binary people, the film is an exploration into the ways in which everyday journeys are planned around the un/availability of a suitable toilet. Visitors will also get the chance to listen to the individual toilet stories in full, browse our postcards and artwork, and talk to the special guests joining us on the stall. Next door, the Servicing Utopia project will be joined by artists who will invite visitors to create utopian toilet models. This weekend will also present the first opportunity to view the interactive digital Toilet Toolkit and short animated film produced by the Servicing Utopia team. The toolkit is aimed at architects and other design professionals to promote the accessible design of toilet spaces and will allow users to virtually ‘walk around’ toilet spaces and interact with items within the space.